Welcome to UNL Animal Science! Welcome to the Department of Animal Science at the University of Nebraska-Lincoln! We are excited that you have chosen UNL to continue your education. While you are a student here, be sure to take advantage of all the opportunities available to you through CASNR and the Animal Science Department. Many extracurricular activities and clubs are offered through the department for students to become involved and meet new people outside the classroom. We look forward to seeing you on campus! 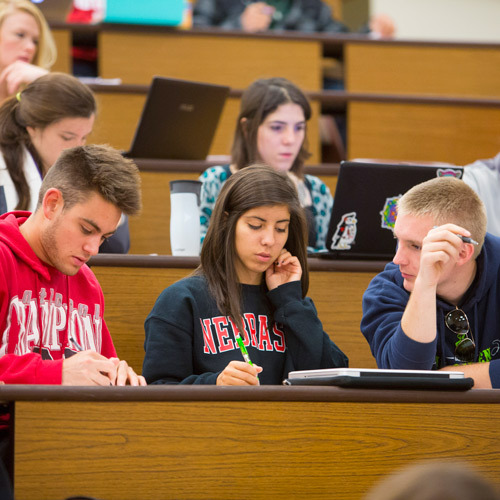 The Animal Science Department offers scholarships to incoming freshman and transfer students, as well as students at the sophomore, junior and senior level within the UNL Animal Science Program. More than $90,000 is awarded annually to more than 100 students. The criteria, qualifications and application process varies according to the scholarship. 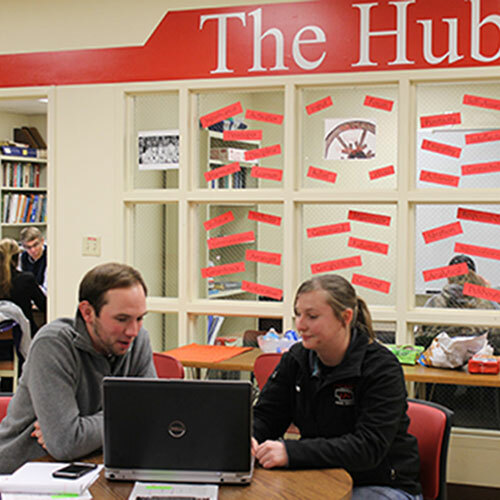 The Hub is our Animal Science student center, located in the Animal Science Complex, A214.